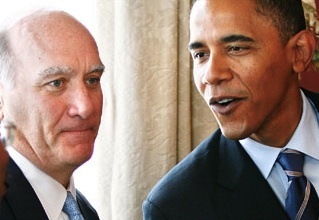 AP is reporting that President Barack Obama has selected former Commerce Secretary William Daley as his Chief of Staff, replacing Interim Chief of Staff Pete Rouse. The spot had been vacated late last year when former Chief of Staff Rahm Emanuel left his position to run for Mayor of Chicago. Not only does Mr. Daley have deep roots in Obama’s home city of Chicago, but he’s thought to have a very strong pro-business point of view, evidenced by his previous role as Commerce Secretary under President Clinton.